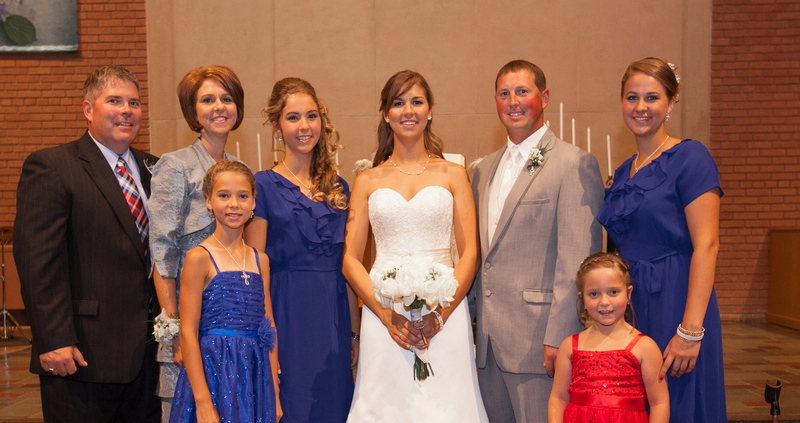 July 2013, our oldest daughter’s wedding. 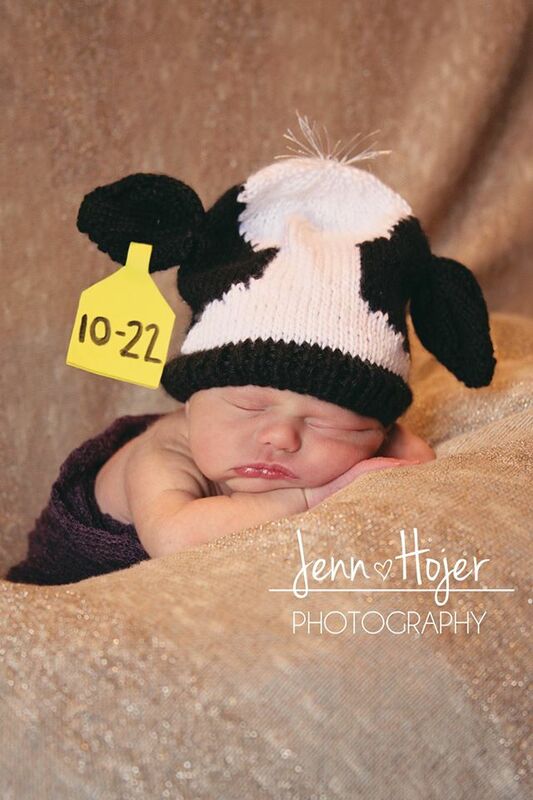 On October, 22nd 2014 we added our first granddaughter, Joslyn Blachford, to the family. 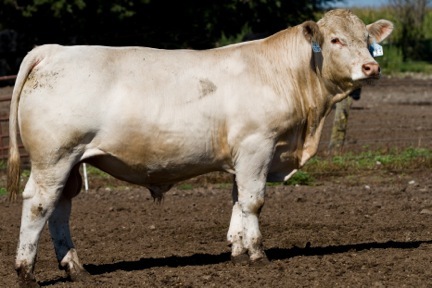 Angell-Thomas Charolais utilizes timed AI. During several times of year, these corrals get quite a bit of use. 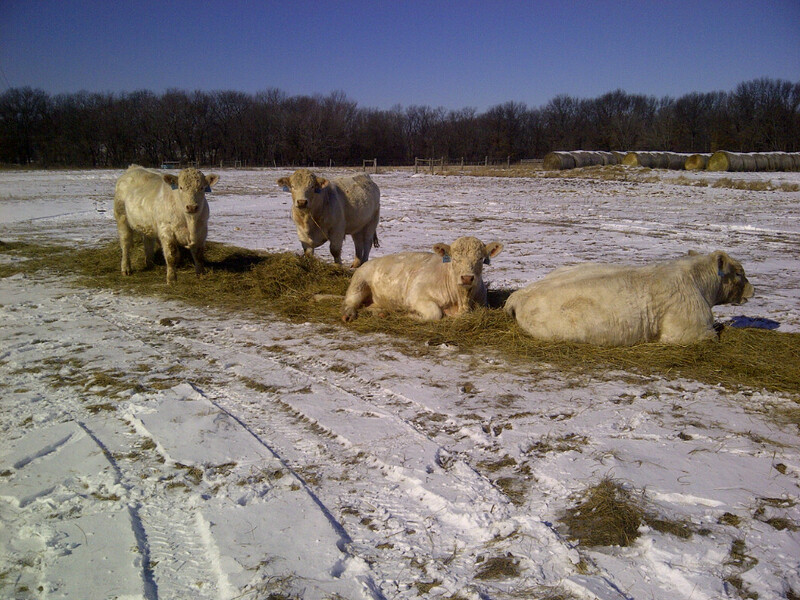 The rest of the time, the cows are found grazing out in the pasture. 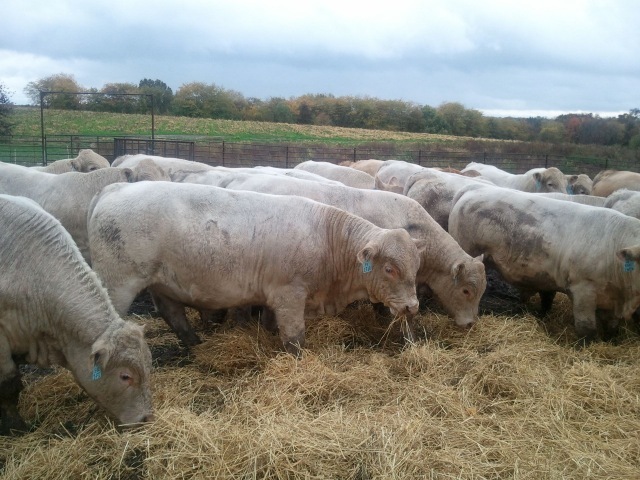 A practical, hardworking Charolais brood cow. 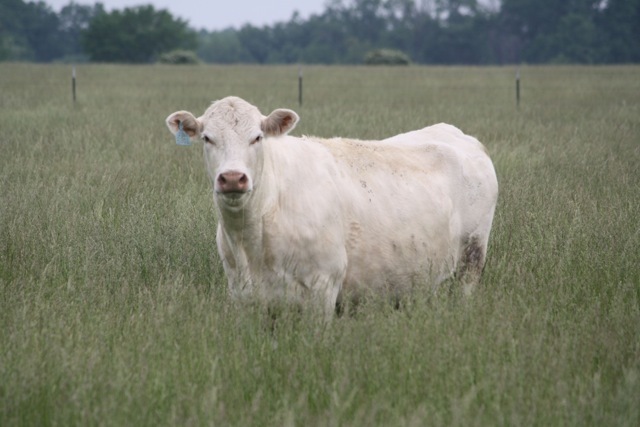 We select for traits that will benefit commercial cattlemen. We don’t raise pampered purebreds, we raise practical purebreds. 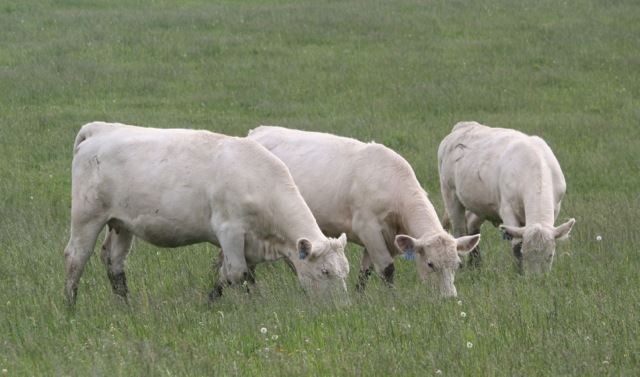 Even in the heat of the day, our Charolais cows are often found grazing thanks to their light color. Please make an appointment with Sally to stop by the farm. She’d love to show you around! Call anytime. 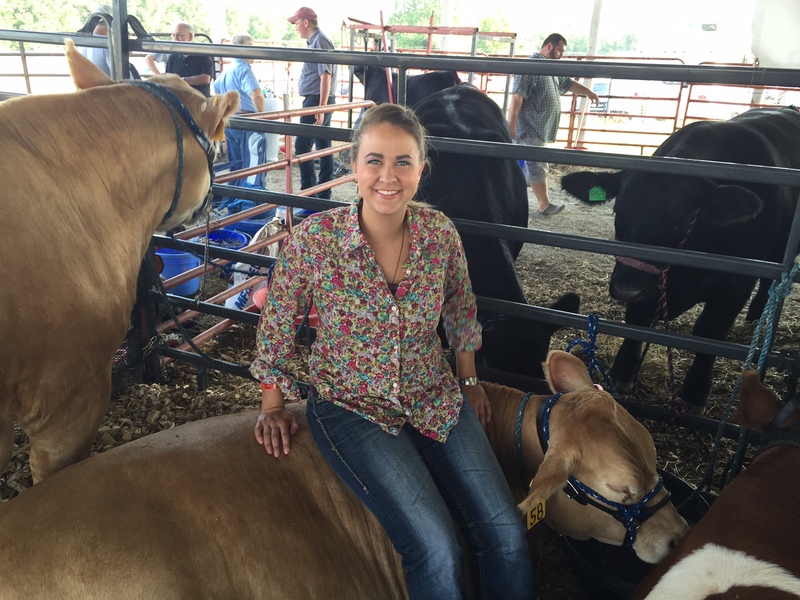 Schyler enjoys showing rabbits, goats, pigs and steers. The girls had a good night at the Boone County Fair this year placing 2nd and 3rd in Rate of Gain with a 4.42 and 4.28 average daily gain. Selestia had the 5th place steer and both girls won their showmanship division. Katrina enjoys showing goats, rabbits and pigs during the summer. 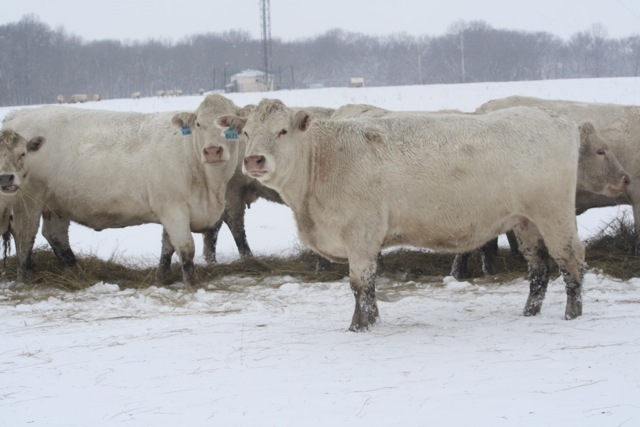 The girls enjoy competing against one another with their steers. Savannah is now finished with FFA, her years of showing Charolais Red Angus cross steers at the Boone County Fair flew by!